"I have owned a number of ovens over the years, including a few of your competitors. The ACE system is More Durable And Dependable...great performance...more energy efficient and much better temperature control"
"You make a really good oven. It is very durable. We had a few ovens that we did No Maintenance On For 10 Years and they still run well. Very rugged and dependable." "Your oven system works great! We use it to burn oils off parts before we weld. We just purchased our second oven because we were so pleased with the first one. Very happy with the service level after the sale." "Really good equipment. We Have Both Coil Winding Equipment and Ovens and are really pleased with both. Your inside support is excellent." "Uses 8-10 times per month to clean wood finishes from hooks. No problems. "We recommended the oven to several other La-Z-Boy plants"
"We are very happy with the ACE system. 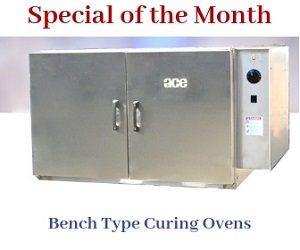 We have used other brands and found the ACE Oven To Be Superior in performance and durability"
"Works like a charm. We even strip plastic from our steel parts. This is our second oven. The first one lasted over 20 years." "The oven is working very well"
"Great Performance of Hybrid Radiant Tube Oven"
WHY ARE ONE-TOUCH CONTROL BURN-OFF OVENS IN DEMAND? The one-touch control technology is one such that has revolutionized burn-off oven designs. © 2018 Armature Coil Equipment, All Rights Reserved.